Integral and Global Thinking have emerged over the last few decades that attempt to provide comprehensive frameworks that map the breadth and complexity of today’s global knowledge. Living integrally means a life where things finally make sense through broader and deeper awareness. Integral awareness allows you to expand and deepen your experience of every moment, make sense of your world and your relationship to it, and to organize all the fragmentation of modern living in a way that doesn’t exclude any part of you. 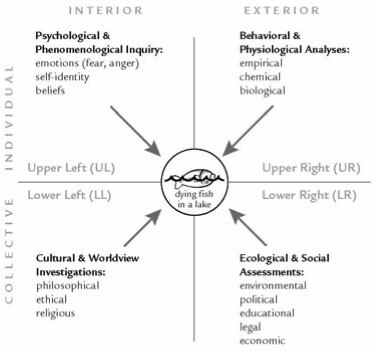 The 4 quadrant AQAL Integral Map for example provides a comprehensive map of human capacities which is being applied to many fields of human endeavor including global ecology, business and organizational practice, medicine, international politics and fairly recently to education.